For Watkins, Skype in the Classroom has been a transformation tool, transporting both students and staff to entirely new worlds through virtual field trips and more. 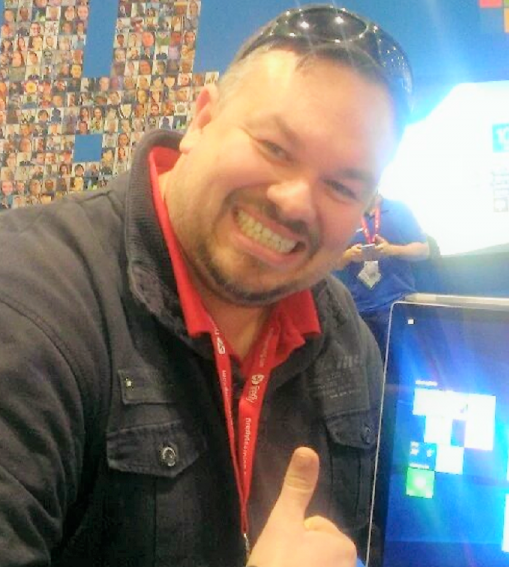 Learn even more about Watkins and his Skype in the Classroom program on his educator profile. Educational background: Having worked in the IT industry, I made a change of direction, taking up a post with a well-known UK charity as an IT Project Manager. Managing an IT training center, I facilitated IT courses for disengaged young people and community groups. Through this, I discovered a love of teaching. At the end of the project, I decided to return to University and qualify as a teacher. Over the last 11 years, I have been an IT teacher, Head of IT Department, Peer Mentor Coordinator, Head of Year (Pastoral Leader) and even a soccer coach. What is the best advice you have ever received? Surround yourself with those who bring out the best in you and never be afraid to fail because we learn through it. Favorite childhood memory: The summer I spent in Australia with my aunt when I was 14. Amazing experience. This entry was posted in 1:1 Learning, 21st century skills and tagged 21st century skills, Skype. Bookmark the permalink.